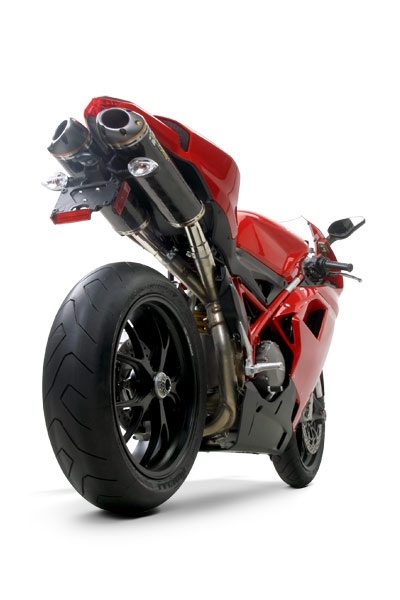 Designed and built with painstaking care and attention to detail, Two Brothers Racing is proud to announce its limited edition, limited production Ducati 848 carbon fiber exhaust system. We are sure it will live up to and exceed the 848 standard! 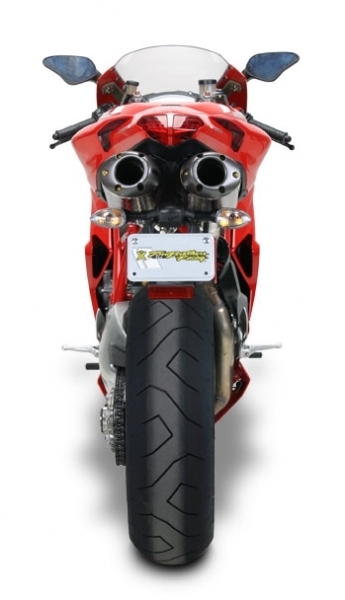 The words 'agile' and 'refined' aptly describe the 848. 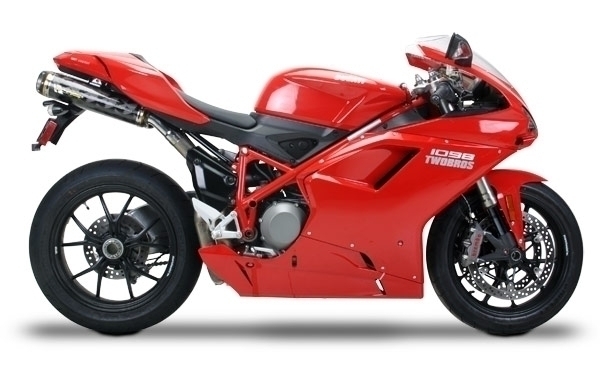 At 369 lbs the 848 is an amazing 44 lbs lighter than its predecessor, and a significant 11 lbs lighter than its larger capacity brother, the 1098. Huge gains in power and torque can be expected from our dual slip-on exhaust system, and you will definitely notice a weight savings on the track or street.